Now the weather is turning cold and damp I thought I’d try out a recipe that would bring a little warmth and spice. This sticky ginger cake has stem ginger and the ginger syrup from the jar in it, although if you don’t want to spend out for a jar (as they are quite pricey) then you can leave it out – it will be just as delicious! 1. Preheat the oven to 160°C and grease and line a 2lb loaf tin. 2. 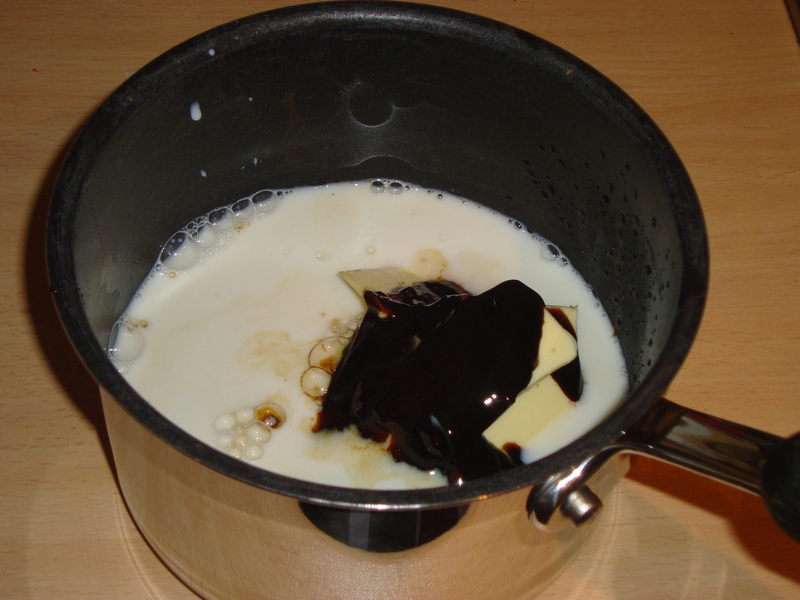 Place the butter, sugar, syrup, treacle and milk in a saucepan. 3. Finely chop the stem ginger and add to the saucepan with a tablespoon of the ginger syrup from the jar. 4. Place the saucepan over a gentle heat until the ingredients have combined, stirring occasionally. 5. Once the ingredients are all combined, remove the pan from the heat and allow to cool for 5 minutes. 6. Sift the flour, bicarbonate of soda, ground ginger and cinnamon into a large bowl. 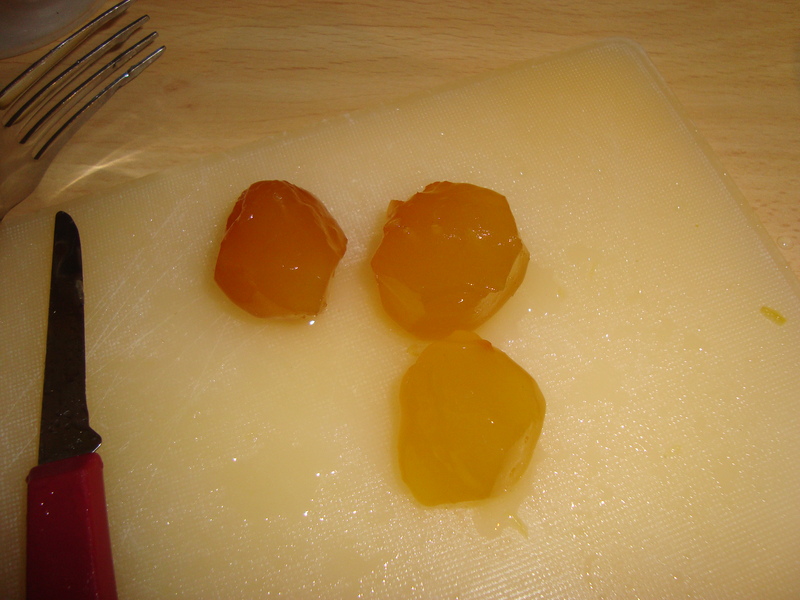 It is important to use a large bowl as the mixture will swell when the wet ingredients are added. 7. Make a well in the centre of the flour and add the eggs. Gradually begin to combine the eggs and flour then start to add the contents of the saucepan slowly, stirring with a whisk as you go. 8. Once the ingredients have been mixed together pour the cake batter into the prepared loaf tin. Don’t worry if there are a few small lumps in the mixture, but there shouldn’t be any large lumps remaining. 9. Bake for approximately 40-45 minutes until the cake is risen and a dark golden brown colour. Test to see if the cake is cooked by inserting a skewer into the centre and checking if it comes out clean. 10. Remove from the oven and prick all over with a skewer. Brush the top with a little more ginger syrup from the stem ginger jar or some golden syrup if you aren’t using the stem ginger. 11. Leave to cool in the tin for 15 minutes then turn out onto a wire rack to cool completely. 12. Slice and serve. Also delicious warm with custard or ice cream. 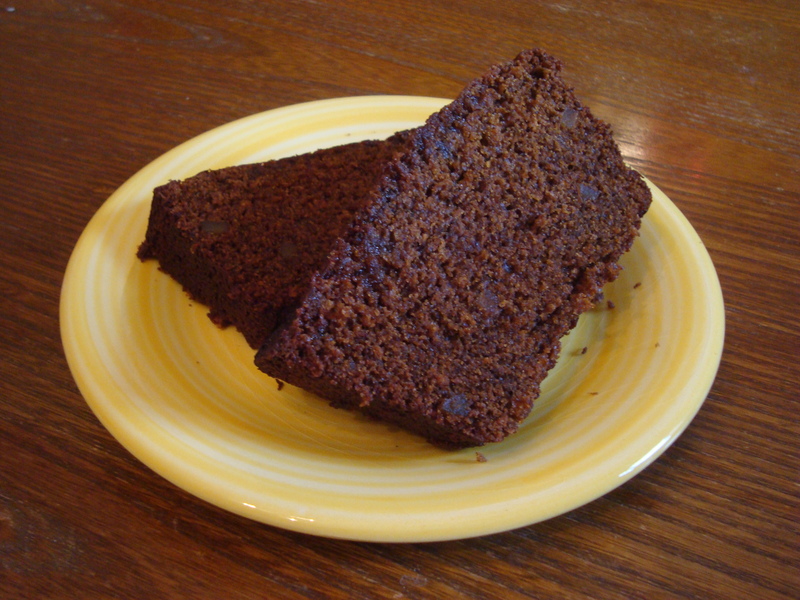 The ginger cake will keep well in an airtight container for several days, if not longer. 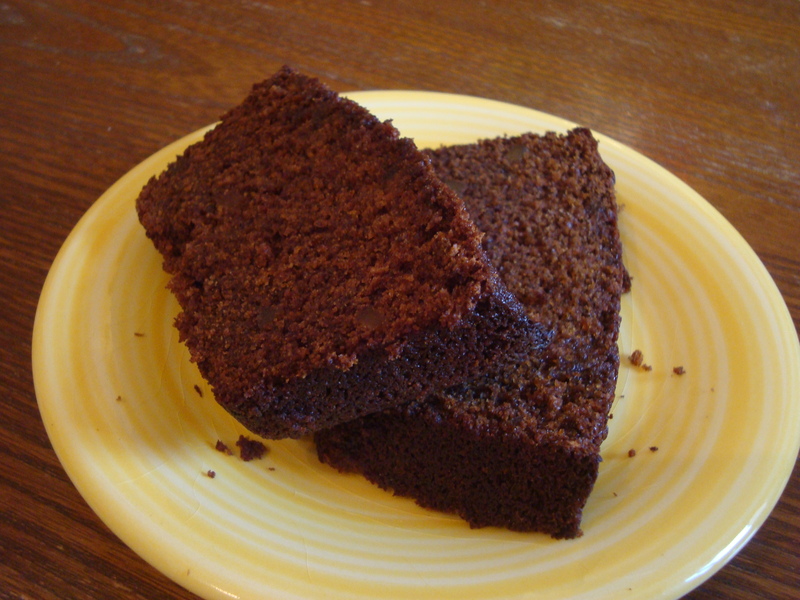 In fact a ginger cake is often at its best a few days after baking! As usual, don’t forget to add your photos to the Flickr group and blog your yummy creations. 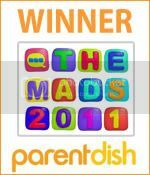 Grab yourself a blog badge from the sidebar too if you’d like. I will put up a Linky on Monday 25th Oct for you to add your blog post links to, which will stay open until 8pm Sunday 31st Oct. 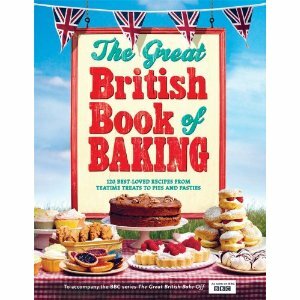 I will then choose one lucky baker, who will receive a copy of The Great British Book of Baking by Linda Collister. thanks for another brilliant baking idea Amy… Those apple crumble cupcakes were the stuff of legend! Ooh, is that Nigella’s recipe? My husband is a star at cooking that. I might cheat and get him to do it and I’ll do the important eating it bit! Looking forward to making this one! 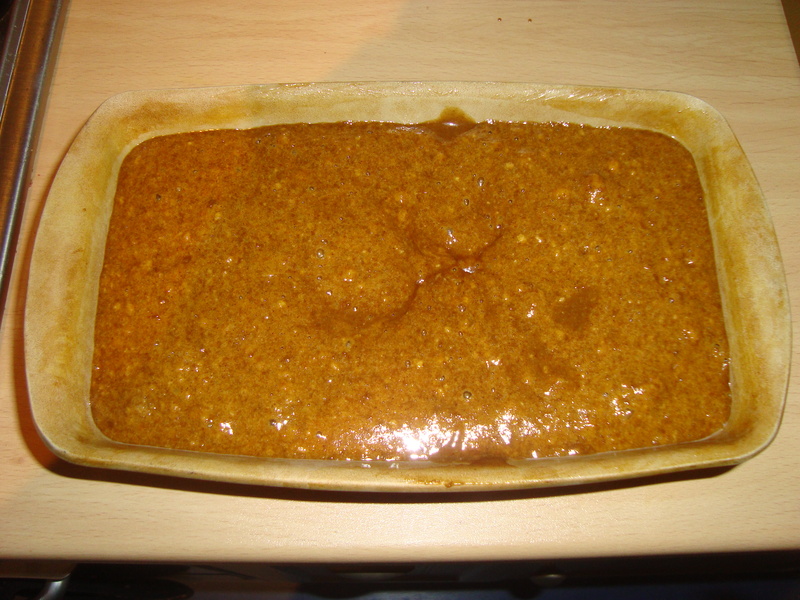 Forgot to say, only changes I made were – I used Soya Margarine and Lacto free milk, dark muscovado sugar (that’s all I had in stock) and a little extra cinnamon, it’s so moist and delicious I’m going to have take some to my daughter and her family so I don’t eat it all! Can’t wait to try this – will be next week sometime, after payday! Luckily I already have stem ginger in syrup, it’s a good investment cos it’s so great in a lot of recipes. I agree, I always have some in the house. Thanks for another great recipe, can’t wait til next months!! Yum, yum and thrice yum. Went down a storm at work – made a wheat free version, too. Think my loaf tin was too small though, or I used too much baking powder, as it was enormous when I took it out of the oven! Deliciously enormous, of course. I have just taken this out of the oven and it looks fab!! I will have to try the apple crumble cupcakes too as we have a glut of apples and I need something other than apple pie to use them up!! I made this yesterday, absolutely delighted with the results. Many thanks.